72 years ago today, on Saturday, August 26, 1939, the first televised Major League Baseball game in history was broadcast. In fact the first TWO major league games were televised, as it was a doubleheader* between the Brooklyn Dodgers and the Cincinnati Reds. 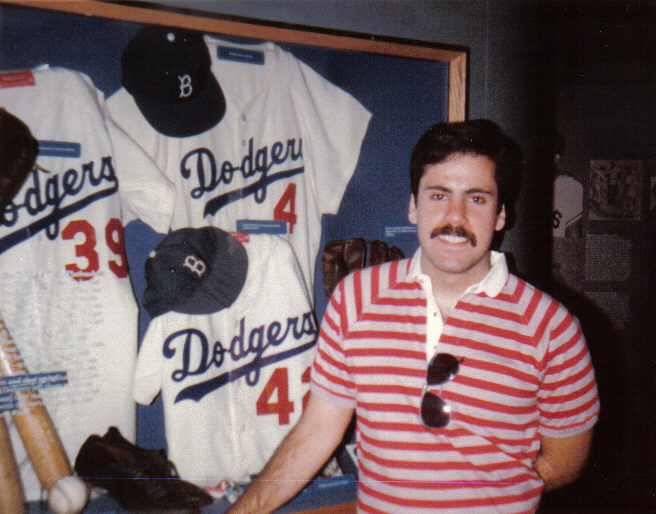 Your blogger at a Brooklyn Dodger exhibition at the Baseball Hall of Fame in Cooperstown, New York, 1984. Legendary broadcaster Red Barber was the announcer for the games, which were seen on W2XBS, the station now known as WNBC in New York City. Just 3 months earlier the same station televised the first baseball game of any kind — a college game between Princeton and Columbia Universities. The teams split the doubleheader at Brooklyn’s Ebbets Field, with Cincinnati winning the first game 5-2 and the Dodgers winning the second, 6-1. Apparently, only two cameras were used, but there are differing reports on what they showed. It’s agreed that one was stationed behind home plate – some say it was from a high angle to show a wide shot of the field. The second camera may have been near the third base line to show throws to first base… or the second camera may have been on announcer Red Barber himself. Either way, to make the historic day even harder, Barber had no monitor and couldn’t see what the viewers were seeing. It must have been a success because today Major League Baseball is practically run by television; the length of breaks between innings is dictated by TV commercials and all World Series games are at night. *Doubleheader: A doubleheader was when two baseball teams played two games in one day, with fans paying just a single admission to see both games. It was once a common occurrence until major league baseball realized they were not maximizing their revenue. Now, on the rare occasion of a doubleheader, the stadium is cleared and a second admission is charged. 48 years ago, on Monday, April 1, 1963 the children’s show “Birthday House” premiered locally in New York on WNBC-TV. It was a kid’s show, broadcast each morning that was really just a big birthday party. Basically, real children, from the audience, celebrated their birthdays on the air in the “birthday house.” But it was hosts Paul Tripp and his wife, Ruth Enders Tripp, who made the show. The Tripps were originally educators. (It was their work with children that first got them noticed by TV producers). So while they played games with the kids in the studio, and us at home, they were actually teaching us. Who knew? I sure didn’t at the time. Tripp and his wife had previously hosted a CBS morning show for kids called, “On The Carousel” from 1954 to 1959. Whenever I think of “Birthday House” or see a clip from the show, it makes me think of my wonderful mother… and I like that. “Birthday House” was broadcast until September of 1967. 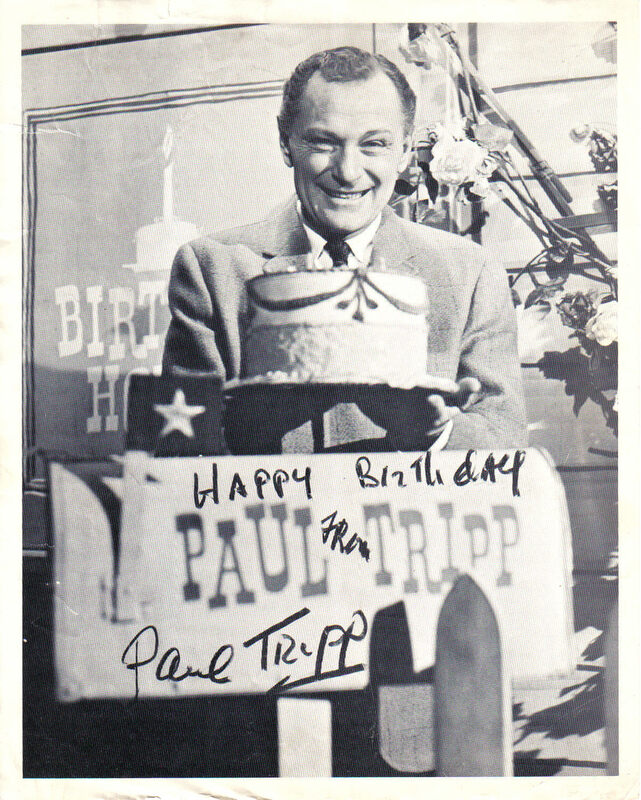 100 years ago today, on Monday, February 20, 1911 children’s TV host Paul Tripp was born in New York City. 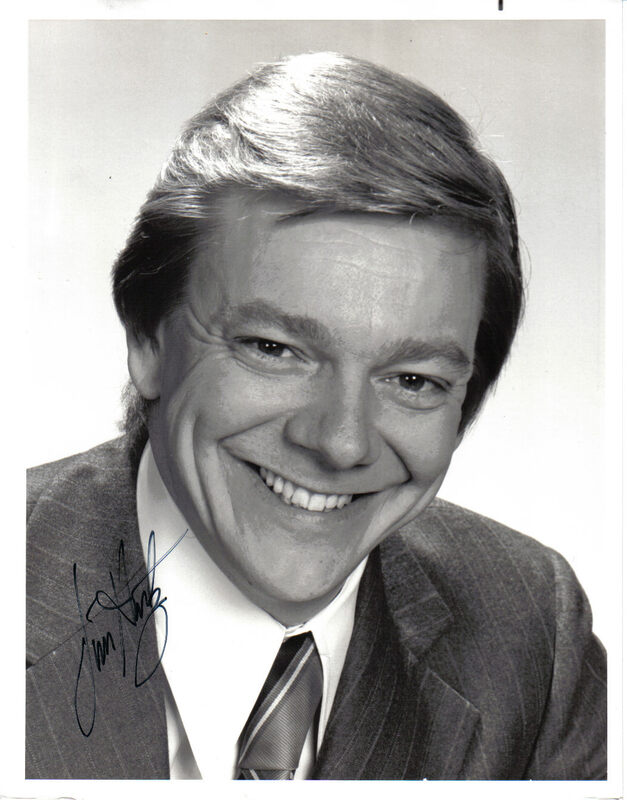 Of course, Tripp was much more than simply a “children’s TV host.” He was also an actor, author, musician, and educator. It was Paul Tripp’s work with children that got him and his wife, Ruth Enders Tripp, noticed by TV producers. That eventually landed Tripp a job as “Mr. I Magination” on CBS, Sunday nights from 1949 until 1952. But I best remember Paul Tripp as the host of “Birthday House” on WNBC in New York, from 1963 to 1967. It was a kid’s show, broadcast each morning that was really just one big birthday party. For others Tripp may be best remembered as the author and creator of “Tubby the Tuba,” a children’s song from the 1940s. Paul Tripp died in his native New York City on August 29, 2002 at the age of 91. Today I honor the 100th anniversary of his birth simply because he gave me joy when I was a child, and I’m certain he made millions of other children happy as well. Interestingly, while watching a clip of “Birthday House” this week it made me think of my late mother. Thank you Paul… and Happy Birthday.